ISLAMABAD: Pakistan�s trade deficit narrowed down by over eight per cent in the first half of the current fiscal year from a year ago. In absolute terms, trade deficit fell to $9.032 billion in July-December 2013 from $9.898bn over the corresponding months of last year, suggested data of Pakistan Bureau of Statistics released on Wednesday. Exports in the first half rose slightly, but imports fell mainly because of petroleum products. Last year, annual trade deficit was $20.432bn as against $21.288bn over the previous year, reflecting a decline of 4.02pc. State Minister for Commerce and Textile Khurram Dastgir Khan said improvement in gas supplies to textile industries in the Punjab yielded the desired results. He agreed that overall growth is still not satisfactory, but it would pick up with improvement in energy supply to the industry. Talking to Dawn, the minister said more investment is expected in the existing industries to cope up with the rising demand because of GSP Plus Scheme. The minister said enhancement in energy input would improve performance of large scale manufacturing industries as well. �We believe exports will record a double digit growth in the second half of the current fiscal year,� Khan remarked. Exports rose to $12.639bn in July-Dec 2013 from $12.024bn over the corresponding months last year, showing an increase of 5.11pc. On monthly basis, exports witnessed a growth of 15.54pc as its export proceeds reached $2.275bn in December 2013 from $1.969bn over the corresponding month of last year. Depreciation of rupee also facilitated export of goods from the country in the first half from a year ago. In terms of rupee, export proceeds witnessed growth of 15.65pc in July-Dec 2013 over the corresponding months of last year. 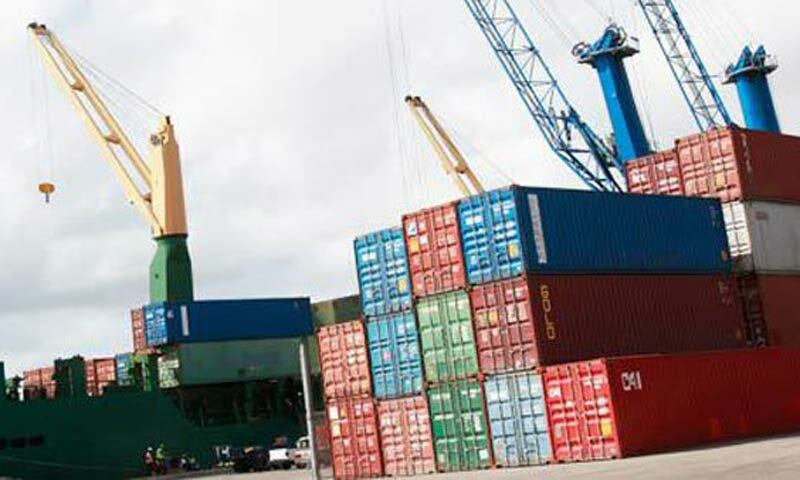 The import bill declined by 1.14pc to $21.671bn in July-Dec 2013 from $21.922bn over the corresponding months last year. On monthly basis, imports witnessed a negative growth of 3.02pc to $3.561bn in December 2013 as against $3.672bn over the corresponding month of last year.